Thank you for connecting with us be sure to put the best time to call and we'll reach out to you. 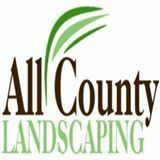 All County Landscaping worked within our budget to give us a beautiful drought tolerant, low maintenance lawn that exceeded our expectations. Jerry and his crew were friendly, professional, and completed the job quickly and skillfully. They even included a few surprise touches to make our backyard really special. Great service is hard to come by, and All County is a real diamond in the rough. Check them out! We highly recommend them.